Visiting Sicily by car is a good decision, but not one to be taken lightly. 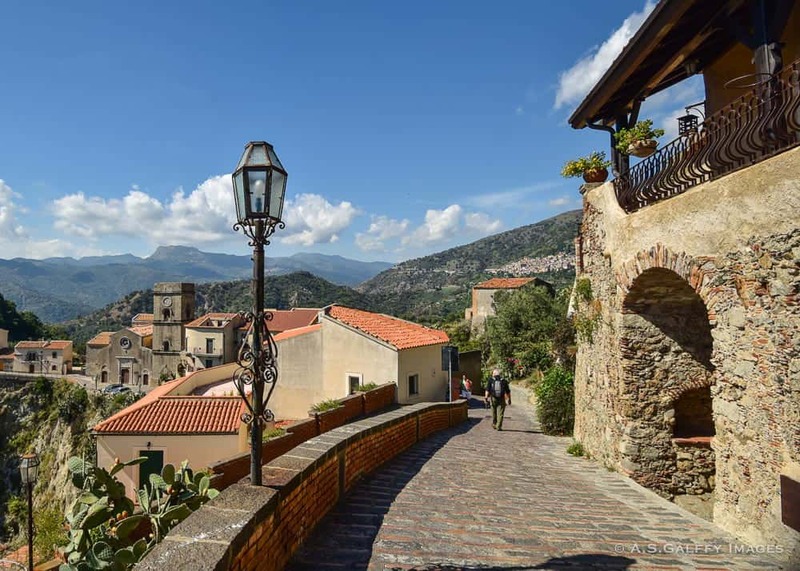 I am a huge advocate for self-drive vacations and after spending 10 days on this unusually beautiful island I am convinced that a road trip through Sicily is the best way to explore the island. However, driving in Sicily is a complicated affair that requires special driving skills and nerves of steel! 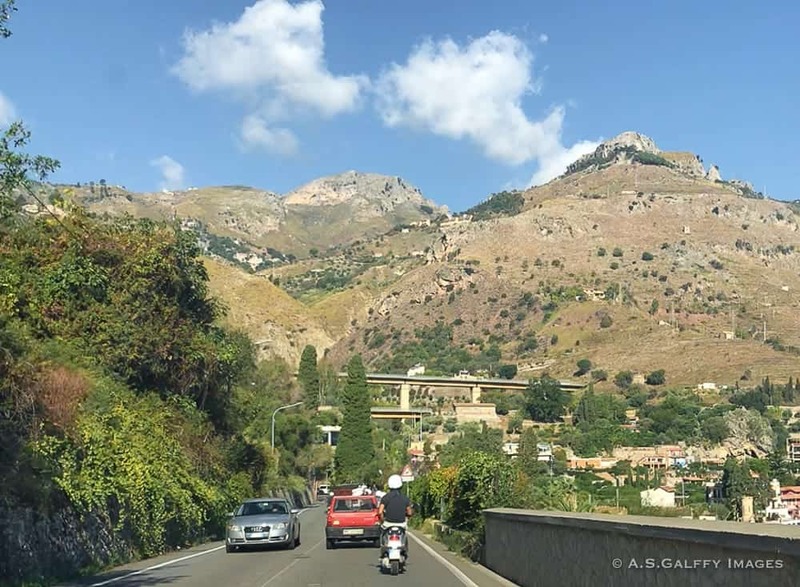 In this post I’m going to share with you our Sicily road trip experience and also give you some tips for driving in Sicily. If you think Sicily can be visited in just a few short days, you would be very wrong. The island is a whole lot more difficult to navigate than I imagined it would be. Distances between destinations may not seem very big, but getting from one point to another will take a lot longer because there are actually very few highways in Sicily. Most of the time you will be driving on two-lane roads and in very heavy traffic. Planning to see too much and overscheduling your days would only lead to disappointment and frustration. Driving in Sicily is a complicated affair. It requires special driving skills and nerves of steel! One thing to keep in mind is that driving in big cities like Palermo, or Catania is worse than anywhere else in Sicily. But the good news is that you won’t need a car in either of these cities. Driving is not equally difficult in Sicily. Depending on the area, the roads may be a little more relaxed, or a nightmare. For instance, going from Palermo to Agrigento to visit the Valley of the Temples we didn’t encounter any particular difficulties. For the most part we traveled on the highway. However, when driving to Taormina, or Siracusa, or Ragusa, we had to battle a lot of traffic, on narrow, steep roads with sharp curves. When planning a trip to Sicily by car, you’ll need to think of all the road trip essentials. You’ll need to decide who’s going to be the driver and who’s going to be the navigator. There’s no way one single person can do both. In our case the decision was easy. I am a terrible driver, so I navigate and my husband drives. That doesn’t necessarily mean that I am a good navigator, but between the two jobs I can do less harm with the latter. • Size should be your number one priority, so rent the smallest possible car. 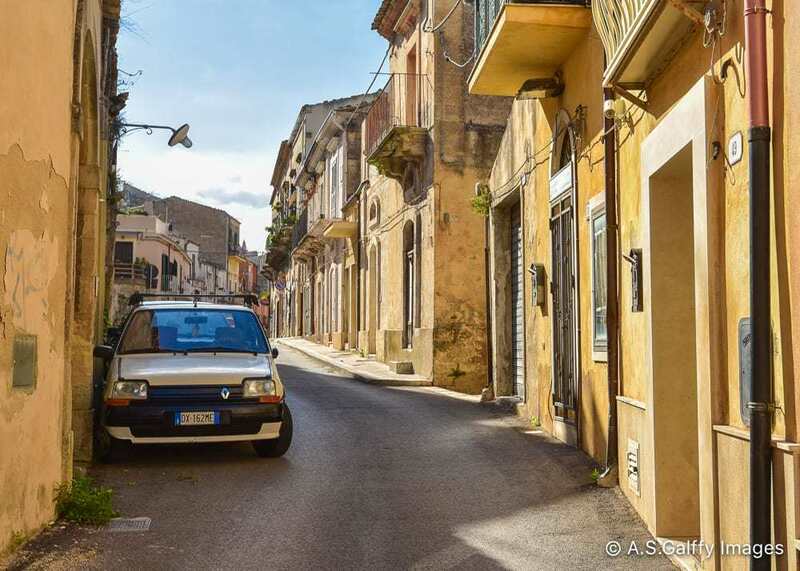 The last thing you’ll need when navigating Sicily’s notoriously narrow streets is a big car! • I would also recommend renting an automatic car, unless you are really accustomed to the clutch and the stick shift. Roads in Sicily are not only narrow, but also twisty and steep. Getting stuck on a hill with a manual transmission car is no fun at all. • Book ahead of time to avoid last minute higher fees. Without a reservation, prices will be way higher. • Make sure the rental time listed on the contract is the actual time when you get the car keys, not the time when you arrived at the counter. It took the clerk longer than 40 minutes to complete the paperwork, but he listed on the contract the time when we arrived at his desk. When we returned the car they charged us an extra day “for being late.” In reality, we arrived at the exact same time when we checked out the car (leave alone that any car rental company technically should give you one hour grace period for the returns). • Say no to any comprehensive insurance policies. Yes, you need one for your peace of mind, but you do not need the one the car insurance company is offering! We had already purchased comprehensive insurance through Auto Europe when we rented our car online, but Hertz was trying to convince us we need to buy theirs as well. Roads in Sicily are varied and challenging! They range from medieval alleyways to the most treacherously curvy mountain roads you have ever seen. 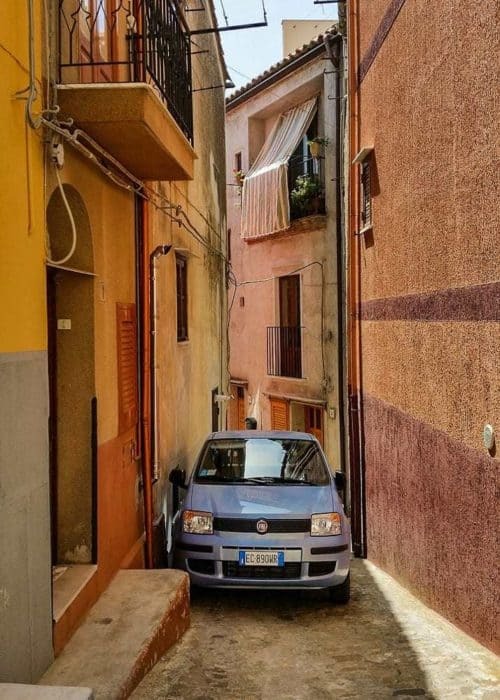 If an alley is wide enough to fit a car, Sicilians will drive on it! Most major cities in Sicily are linked by the autostrada. In the northern part of the island the autostrada has 3 lanes, but as you make your way south past Mount Etna the three lanes shrink to two. Finally, the two lanes become a single poorly-marked lane that winds along the southern coastline, with overgrown plants spilling into the highway. There are two toll road tolls in Sicily (autostradas): A18 and A20. You pick up a ticket at the first toll booth then pay for it at the next booth. Some toll booths are staffed by cashiers who can make change for you, while others are automated and accept exact change only. It’s a good idea to keep some spare change handy before starting on the road. Road holes are a real hazard in Sicily. There are holes literally everywhere and most roads are in a very poor condition. Motorcycles are the final road hazard to be aware of in Sicily. They pass you on both sides at a nauseating speed, crossing in front of you and sometimes even touching your rearview mirrors. They seem like a swarm of angry wasps attacking from all directions! Parking your car in Sicily is not as simple as finding a spot. If you see a place where you think you may leave your car, first look to see if there are any white, yellow, or blue lines painted on the ground. White is for residents only; yellow is for loading/unloading; blue means that you can park there, but it doesn’t mean that you can park for free. You have to look for a parking meter (parcometro). If you see one around, you are in luck. If you don’t, you’ll have to go find a tobacco shop that sells parking tickets. After buying the ticket (for whatever amount of time you decide) you’ll have to return to the car and display it on the board. Parking varies from town to town, but as a general rule you don’t park in the narrow streets of the historic centers. These are mostly reserved for the local vehicles (parking by permit only.) If you want to avoid this hassle however, you should try to locate a paid parking garage and leave your car there. You can find parking garages relatively close to city centers. It’s worth taking a few extra steps than paying a steep fine. One of the problems when taking a road trip in Sicily is having your car broken into. Car crime is pretty high in Sicily, so make sure you don’t leave any valuables in the car. If you absolutely have to, hide your valuables the best you can and park your car in a public, visible place. My husband had to leave his drone in the car once when he wasn’t allowed into The Valley of The Temples with it. So we drove away and acted like we were leaving. We stopped further down the road and hid the drone under the car seat, then returned to the parking lot. However, I think we took a big chance by doing that, so don’t do it! I hope my tales of traffic jams and treacherously curvy mountain roads haven’t ruined your taste for seeing Sicily by car. 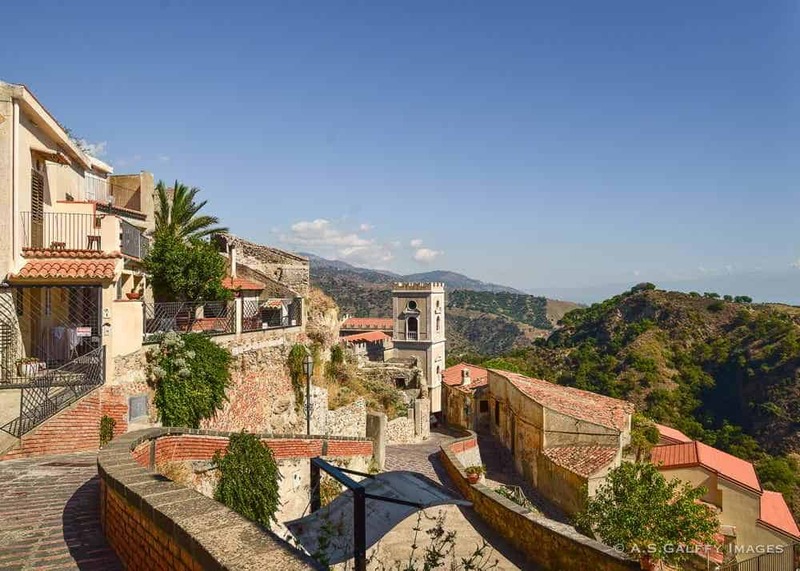 Although challenging, Sicily’s country roads can be incredibly rewarding, taking you through some truly gorgeous scenery. Rugged, dry and rocky in the interior, green, lush and dotted with tiny fishing villages on the island’s coastline. So, should you drive in Sicily? Absolutely! If you are a confident driver you’ll manage all right. 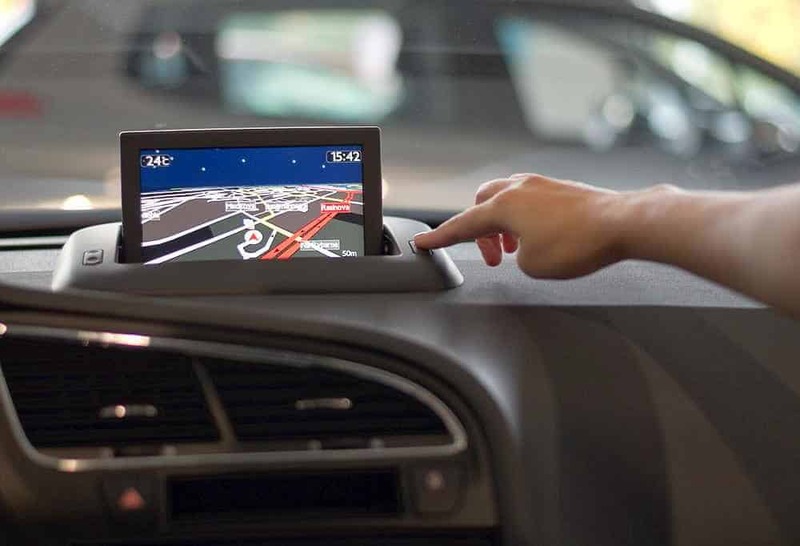 If you found this article helpful, read my other travel guides for driving in Europe. You just reminded me of my last Sicily trip. It was so much fun to drive around the area. While it was not easy to drive on narrow streets, I thoroughly enjoyed the experience. This is a really useful post. It's not easy to get such detailed tips on self driving in a foreign country. The medieval roads are so narrow! Interesting info about the white , yellow and blue lines for car parking. I'm glad you found this information useful, Sinjana. I struggled to find this kind of information before traveling to Sicily, so hopefully others would benefit from this post too. Wow! I can't imagine driving on those narrow roads. It makes sense to rent the smallest car available. And the motorcycles! That's crazy to read they speed up on both sides of the car and sometimes touch the rear view mirror. I think I will have a heart attack, but seems like driving in Sicily is another experience that you must do while there. 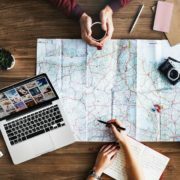 So many useful tips in this post! We love road trips and prefer to rent a car because of the freedom it gives you to explore. Good to know about the traffic, and the narrow, winding roads - an automatic is definitely a good idea!! Gosh! Some of those roads were really narrow. Great tip about hiring an automatic car over a manual. Also great tips re parking. I have not visited Sicily yet but it high on our travel list. We will consider your article for car hire when we go. Thanks for sharing. 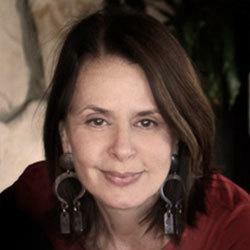 Hope you'll get to visit Sicily sometime, Jane. Now this is a subject I know a lot about! We're in Sicily every summer, and nothing could make me want to drive there, you're brave! Sicilians are interesting drivers (!) and definitely have some unusual habits. Good tip about taking a small car; the roads are very narrow, plus with a smaller car, you get parking far easier in busy places. I'd absolutely love to visit Sicily one day and this is such a useful post. I had no idea how busy the roads were though, that was a bit of an eye opener and to be honest a little bit of a put off. Not to mention the car theft issues they have and finding parking and making sure not to get a hefty fine. Glad you still thought it was a worth while process though! Awesome tips! I'm usually nervous to drive in other countries, but my husband is all for it! Driving down those alleys would definitely make me nervous. It is good to know about the car crime in Sicily. 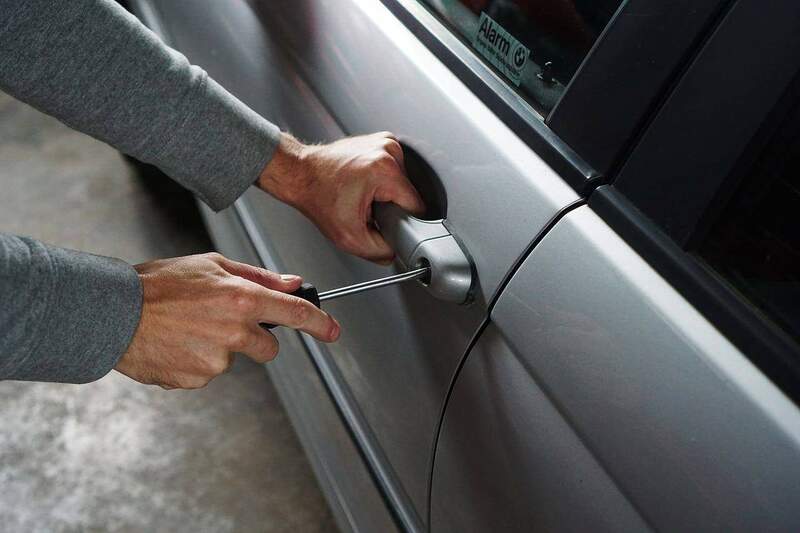 We try to avoid leaving valuables in our car anywhere, but this is good info to keep in mind. This seems quite like what we see in Asian countries. And if you are used to that, am sure this should be good. 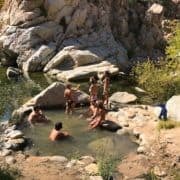 Add to that your useful tips - am game for this adventure in Sicily. We're planning to do a bit of road tripping through Italy this summer. But I don't think we'll go as far as Sicily. Good call on picking a small car for Italy. I think that's what we'll end up doing. 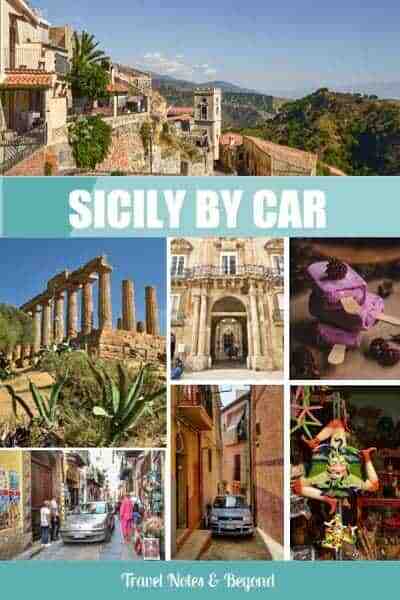 I'd love to go to Sicily but I usually travel alone so I would be way too scared to drive a car in Sicily!! I do keep meaning to hire a car somewhere a bit easier just to get used to driving on the 'wrong' side of the road but you're right it's much easier with 2 people! We are looking to visit Sicily this year. So looking for all the tips we can get. Good to get a heads up that it takes much longer to travel between spots than you might expect. We will plan for travel days. And that we will not need a car in the cities. 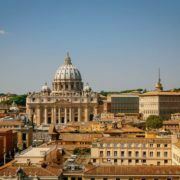 We have driven in Italy before and totally understand your advice about picking a small car. And one that has mirrors that pull in! We also learned that rental cars are more likely to be ticketed. So make sure you know the parking rules when you park. Will pin this for future reference! What a great article! I always rent a car when I visit some other country. I like to be totally free to drive everywhere I want. The craziest place I ever drove was Sri Lanka. Pure madness! But I guess Sicily can be as challenging. Loved all the tips you give. Super useful! I like road trips. I drove in Veneto, Emila Romagna, and Tuscany in Italy. Never in Sicily though. Driving in Italy is fast and in a certain way 'crazy', but I managed it well and enjoyed it much. You gave some really good tips here. I especially appreciate one for the car crime! I am very much comfortable driving a manual but yeah I will totally follow your advice - to rent an automatic should I find myself doing a road trip in Sicily. I know how it feels to get stuck in a twisty and steep road. Learned my lesson very well from another trip recently. What a great post. 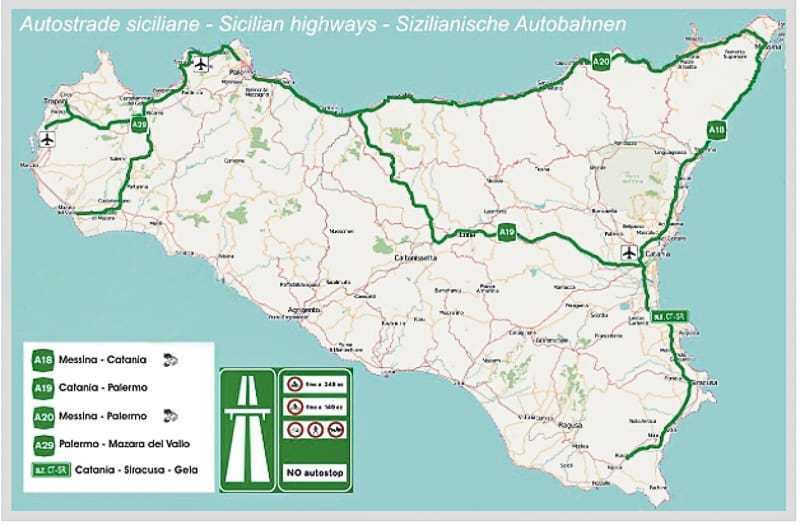 Sicily is on our travel list and ordinarily I would rent a car, as I've made my husband drive in all sorts of horrid places (including Italy, which wasn't bad except in Sienna where we hadn't planned to drive! ), but I think I'll be rethinking that now. We love the freedom having our own car gives us, but hiring drivers was a great idea in Bali. . . perhaps we should consider doing the same when we finally get to Sicily! Thanks for you oh so useful post. I do love a self drive vacation too, and have had a few meltdowns with my pursuit of them. Great tip about distance and time it takes to drive. It is so easy to make that mistake and then miss out on things you have planned due to loss of time. Who would have known parking would be such a complex thing! Oh my goodness. 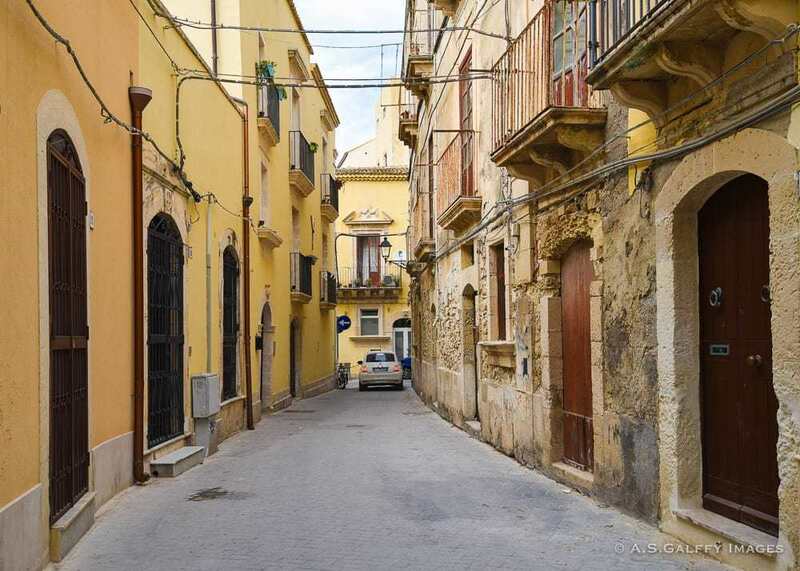 This is such a useful post not just for visiting Sicily by car but any other Italian city. I have just returned from Tuscany and I hate to say it but the traffic situation was exactly like you described - "Driving in Sicily is a complicated affair. It requires special driving skills and nerves of steel!" BTW Great tips that anyone can use anywhere. Such a well written and thought out article. I myself did an entire self-drive tour for a month through Italy last year before getting rid of the car to go to Sicily. I couldn't imagine driving there, the two of you did a great job with the amount of teamwork involved! When we went to Italy, we rented a car, but never drove it in the big cities like Florence and Rome. We just parked the car and made our way around on foot or public transportation. But we certainly did encounter some crazy alleys and those roundabouts are insane sometimes! The odd thing you mentioend was that it was more expensive to rent a car away from the airport. Back at home in the United States, it is just the opposite! Haha, I love that you claimed the navigator position! Those roads...Wow! ?? Renting a tiny car is definitely great advice! It's even crazy that people drive on those narrow roads! But thanks for all the great tips. 'Nerves of steel' is right and bless your hearts for having the stamina to endure pot holes, folks on motorbikes and narrow, curvy roads. As much as possible, I try and avoid driving in Europe for all the reasons you mentioned. The flipside is you have much more freedom with your schedule and I get it's not easy choosing. Great tip to drive away and hide the drone and then come back to park! The picture of car in the narrow street cracks me up. Great tips. Thanks, Rosemary. Driving your own car in Europe is not easy, but it definitely has many benefits. Very helpful. My husband drove in the UK where roads are also very narrow and tricky. But some countries don't allow 70 year-olds to rent a car (or charge steep rates). We loved Sicily too, Julius. I'm sure living there was quite an experience. Oh wow! Thats such a narrow road. I'm used to a gear shift but I agree with you on the automatic, it makes life so much easier. Interesting to know that street signs are colour coded. Oh goodness, driving in Sicily sounds really scary. I think if we go there I will let my husband drive, like you. I think it's the smart move. The scenery looks very pretty though, so I'm sure it's worth the hassle. Those streets look very narrow. Glad you made it out okay. I thanked God when we returned the car in one piece, Kathleen. Very stressful! I am getting more and more convinced that the convenience of a car is an inconvenience. ;) The driving part isn't so bad (usually) - I actually enjoy driving, and those roads look like a good challenge - but the parking bit is enough to drive you crazy! Still, sometimes it's the best way to see someplace. Yea, unfortunately you have to put up with a lot of stress if you want the convenience of a car. And that's practically almost anywhere in Europe. Those are narrow roads indeed! I love the freedom of renting a car -- no train routes and schedules or finding bus stops. We recently rented a car in Germany and drove VERY fast on the autobahn -- and it was so much fun! I've heard so many wonderful things about Sicily - and I love a good road trip. I'll have to admit though that it sounds very intimidating to do both. Good to know that it's something that one can do. Thanks for the good tips. I am lucky my hubby always wants to drive and loves a challenge. He impressed taxi drivers in Sarajevo with his crazy driving in snow. I am sure he would love Sicily and I would sit next to him and panic. I'm sure your husband wouldn't have a problem driving in Sicily. It's probably harder to be a passenger in a car in Sicily than it is to be the driver, lol! I've been to Sicily , but without a car. Even though I love exploring places by car, I don't have nerves of steel lol. But for my poor husband who did all the driving, I would have seen Sicily by bus too, Sandra. It's really scary to drive in Sicily. Driving in Sicily sounds like one of the most challenging places to drive!! We've driven all over Europe, but this beats any complicated situations we've endured! Pinned for future reference! Driving in Sicily seemed more difficult than in any other places in Europe. I have been wanting to visit Sicily since I was a kid. I think it is one of the few "childhood dream" places I have not been. I think renting a car is the way to go. I do not want to visit in a tour and have heard public transportation is not that reliable. I leave the driving to my husband. Hahaha, I did the same, Ruth: left the driving to my husband. But it wasn't less stressful to be a passenger either. Yea, that was kind of frustrating, I agree. Luckily, the car costed only 25 Euros/day, so it wasn't that big of a deal. Unfair, however, to be charged when you actually returned the car on time. I do want to visit Sicily and really see the country. Hmm, I am not sure I would be comfortable driving there, but maybe my hubby would. So I am guessing taking buses between the cities is not really an option? Busses work all right in Sicily, but having to drag your suitcases to the bus station and depending on the bus schedule was never my cup of tea. It looks like driving in Sicily can be fun and scary at the same time. Thanks for all the good advice (separate navigator and driver is something I always do when travelling). I have seen narrow streets and am always amazed at the local's skills in navigating them. I guess in the end you probably can get used to anything, Rhonda. Even driving on narrow alleys like those.